If you want the long and short of Nanotech – the sophomore release from Detroit techno-thrashers Euphoria – the above alert that greets listeners on album closer “Brainstorm” turns out to be the album’s declaration of intent. Hostile cyber-thrash is the order of the day and the intro of “Electro Hypnosis” sets the stage nicely; almost serving as an upload link to the megabytes of digital armageddon that is about to be scanned into the listener’s brain! Along with second track “Respawn”, Nanotech’s first two songs showcase a band that, for the first time in forever, assumes command of the Hanneman technique instead of merely worshipping it. In addition to this, Europhia exhibit a thorough understanding of Iron Maiden style rhythmic gallops for added propulsion. The best part is, these aren’t the only ‘retro-fitted’ tricks that Euphoria utilize as they tell their tales of technological compromise. Vocalist Justin Kelter’s acidic range excels at taking listeners to unexpected places. Whether it’s his sound barrier shredding crunch found on “Labyrinth Online” or the reverse-engineered Paul Di’Anno punkiness found in short bursts on “Mechanical Carnivore” and “Neon Dreams”, he delivers throughout. The only notable drawback of Euphoria’s output to date is that their previous releases, while good, felt like they were being too hard on themselves. Nonetheless, Euphoria have always been onto something cutting edge and Nanotech is where the band have truly learned how to breathe. If Euphoria’s goal is to give thrash an upgrade, they’re succeeding. 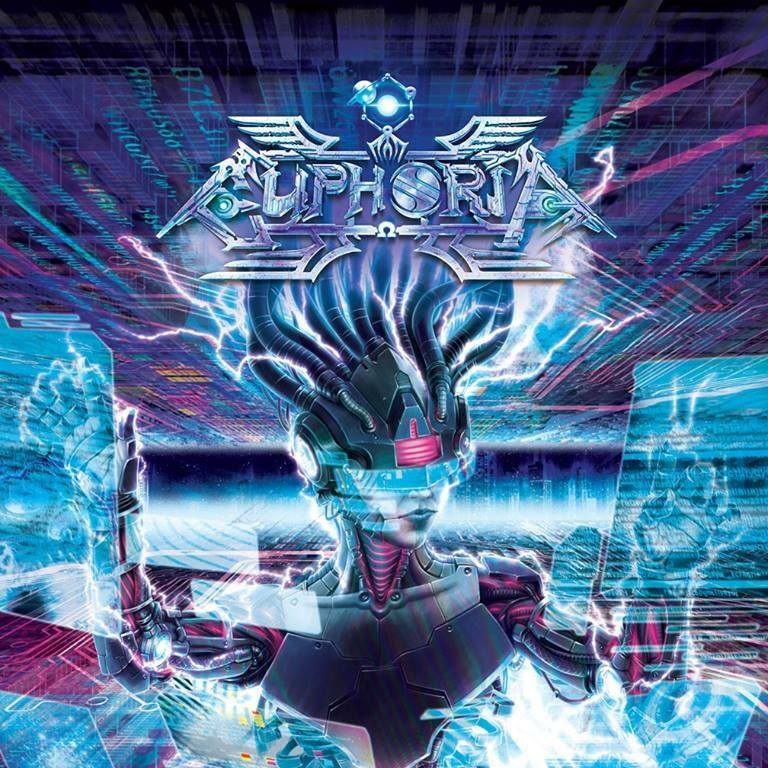 Ably contrasting a furious street thrash ethos, with a cerebral approach – that affords listeners plenty of tempo varieties and hypnotic guitar passages – whilst providing plenty of opportunity to headbang oneself into a coma, Euphoria have released a cybernetic triumph of an album. Nip over to bandcamp and have a listener yourselves!